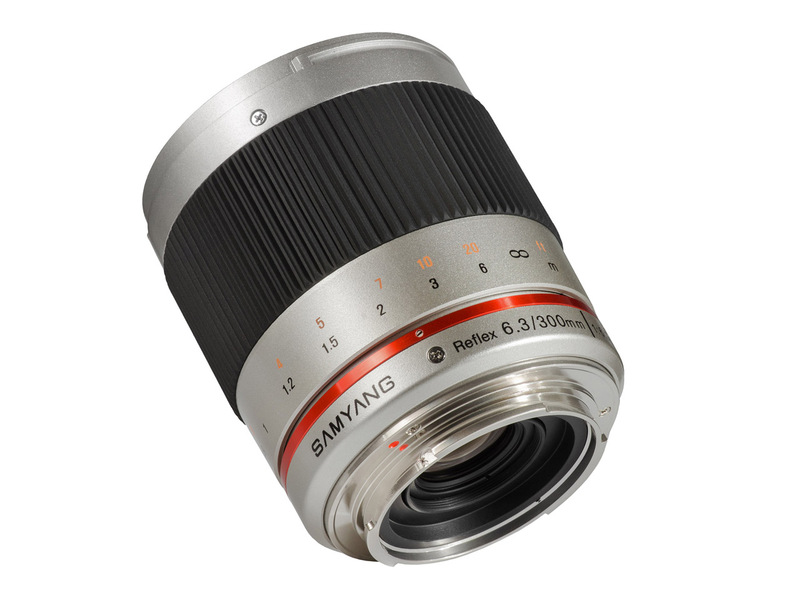 Samyang Reflex f/6.3 300mm ED UMC CS is a small mirror reflex lens for mirrorless compact cameras. 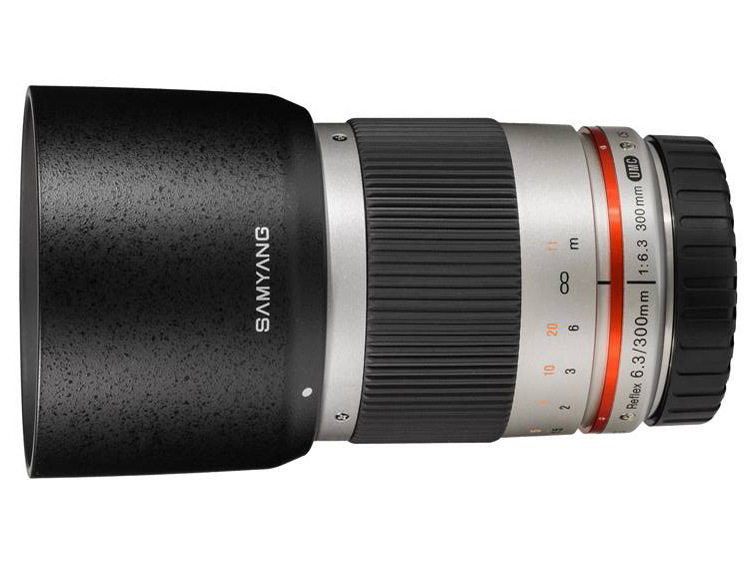 The lens will be available in two colours: black and silver. Available mounts: Sony E, Fujiifilm X, MFT and Canon M. The optical formula contains 9 elements arranged in 6 groups, includes one ED-type lens to ensure high contrast and preventing chromatic aberration effectively. Long focal length, exceptionally affordable price and small size (it weighs only 315 g) make this lens a perfect companion for both city and nature photography. 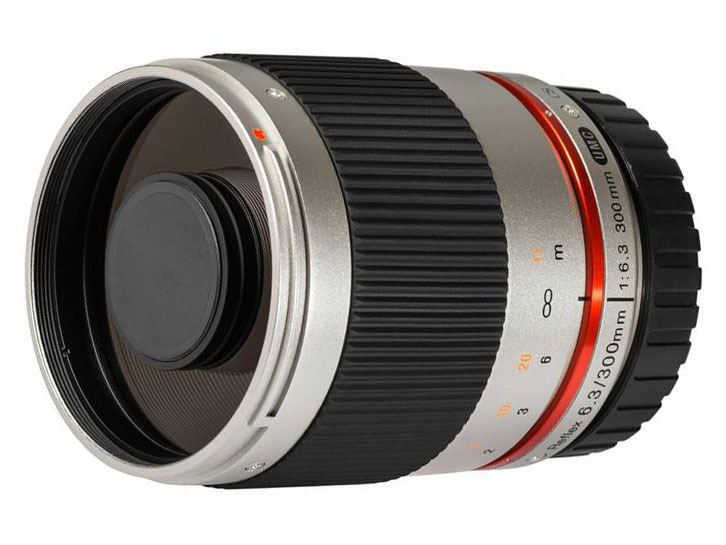 Estimated retail price of the lens in Europe is EUR 259 & will be available in July 2013.